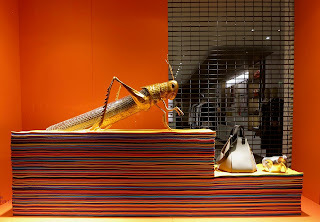 With so much of London in the Sale period we have been struggling to find any innovation or actually anything interesting, however we've dug a little deeper and thankfully there are some gems out there including this scheme at Loewe. 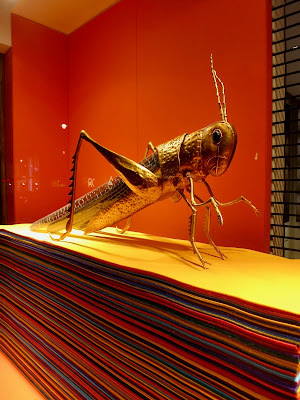 A beautifully crafted outsized grasshopper in a Gold finish placed on top of layers of gorgeous coloured felts. Thank goodness for the luxury brands, eh..!